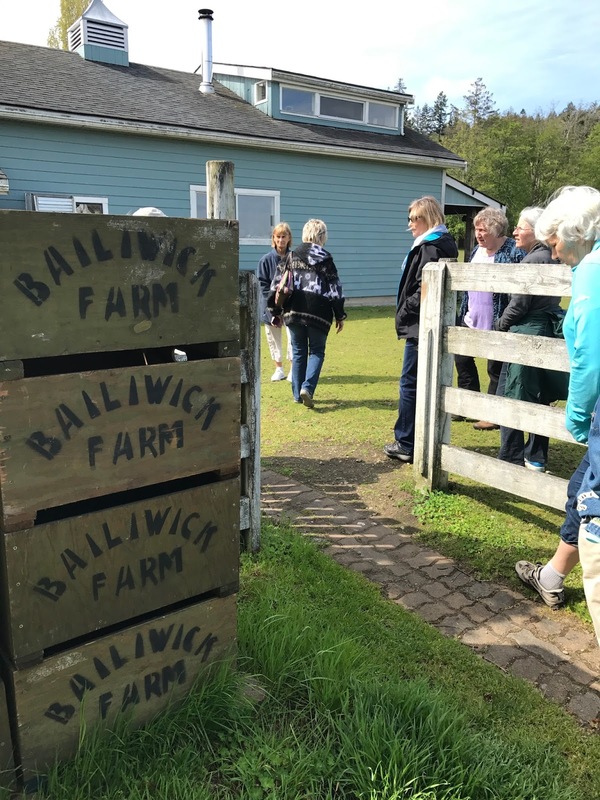 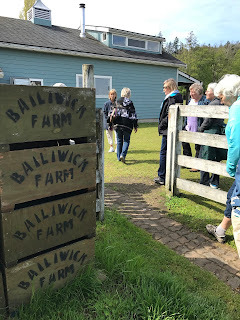 DCWS members had an outing today to visit Balliwick Farms and meet Tracy Brennan's Alpacas. 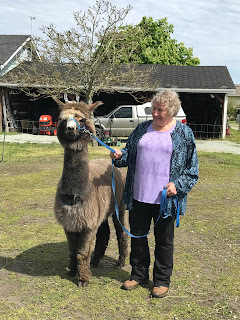 Tracy rescues Alpaca and the herd had grown to 15. 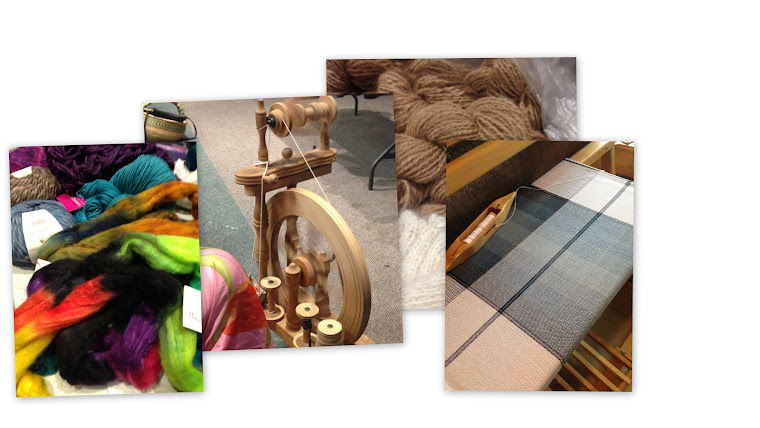 She sells fleece and yarn through her business Inca Dinca Do. 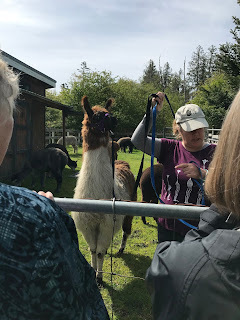 After a briefing on behaviours of the animals and some shared experiences we were off to have a close up look at the Alpaca. Tracy introduced us to Jelly Bean, the new Ilama she has acquired to protect the herd. 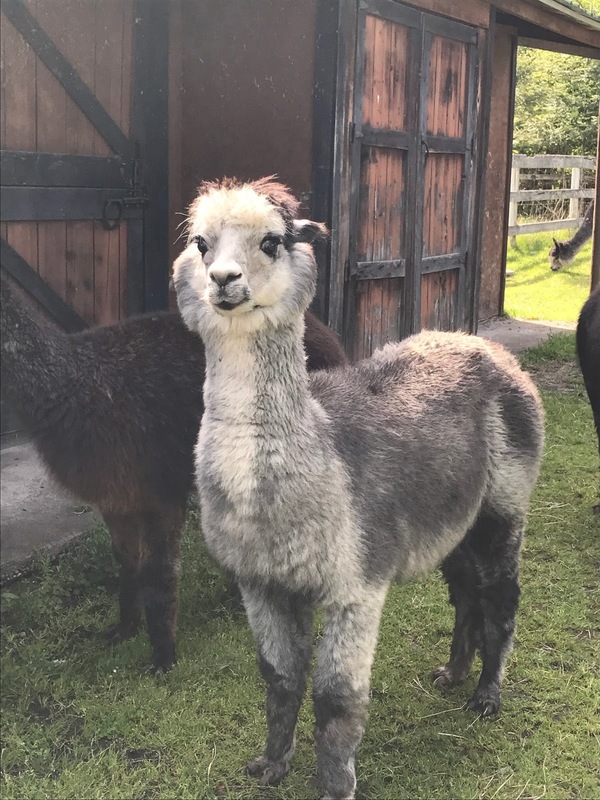 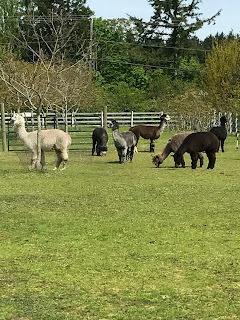 Jelly Bean is 8 months old and slightly larger than the Alpaca; he will grow to be much larger and weight around 400lbs. Jelly Bean and Kokopeli were led out to walk about the farm with our group. 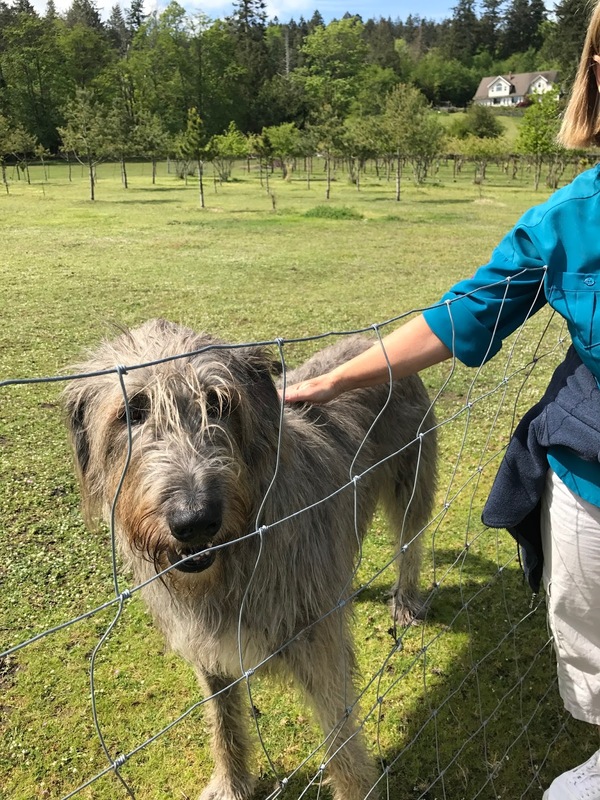 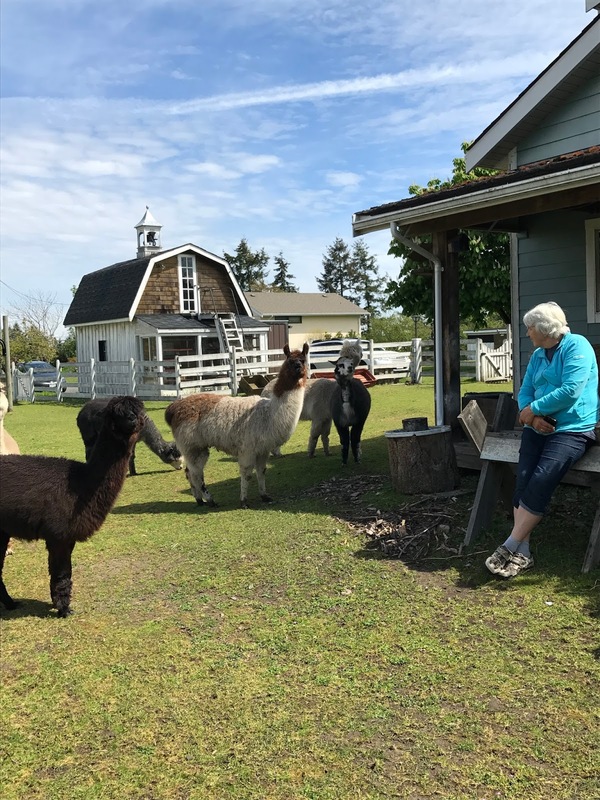 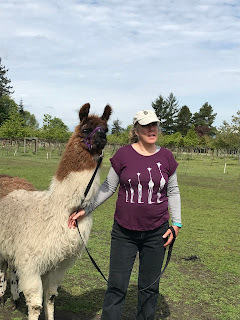 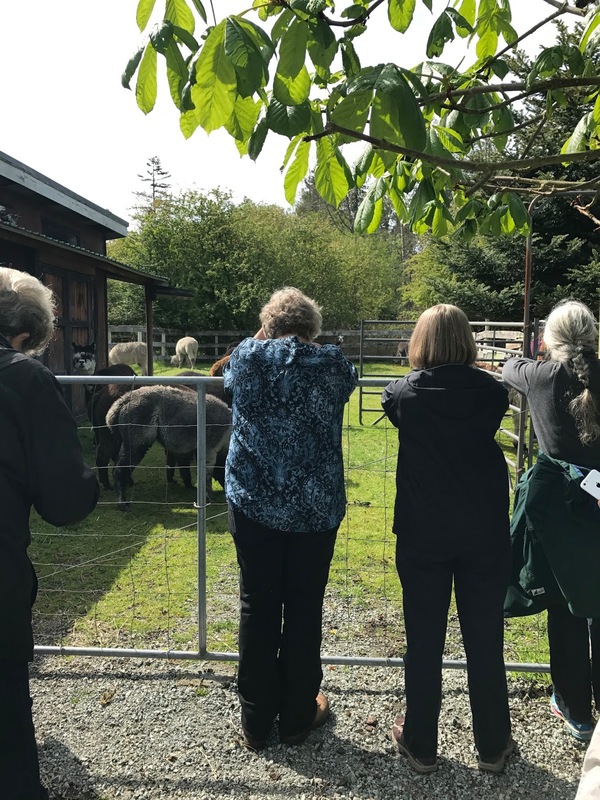 While we wandered through the Kiwi and Walnut trees Tracy shared her experiences with raising Alpacas. One could tell she has an understanding and deep connection with these amazing animals. After our walkabout the rest of the herd was set free to join us. Johanne found sitting quietly away from our group the Alpacas became curious and ventured closer. 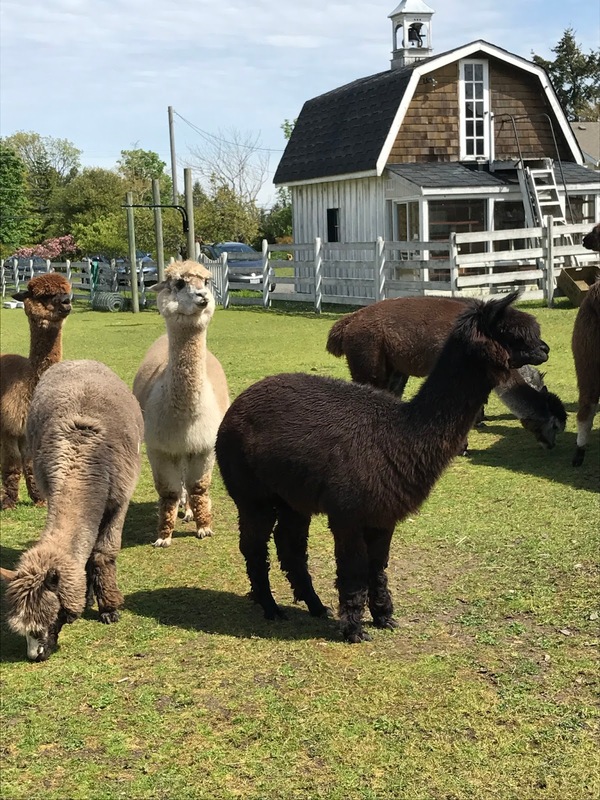 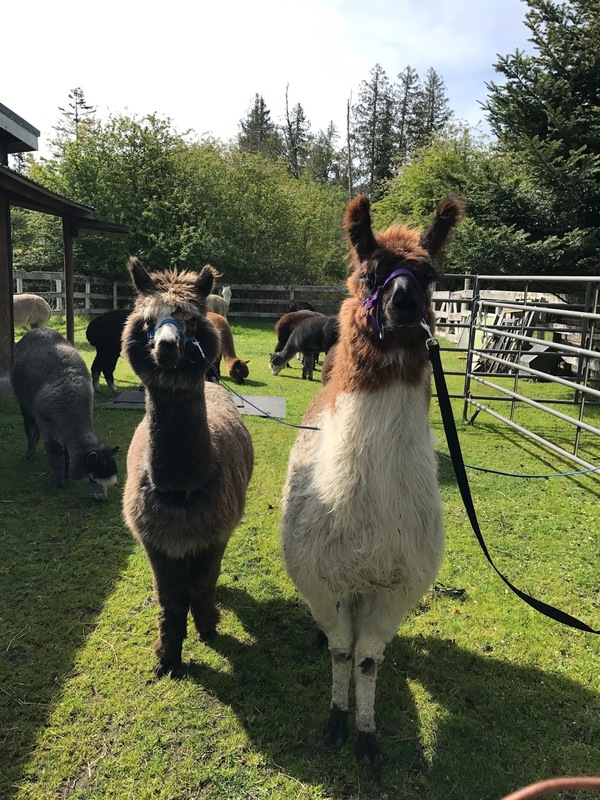 We can all appreciate the fleece and yarn a bit more after our up close and personal visit with the Alpacas.